WordPress is the most preferred blogging platform now a days. Whether to start a new blog or transfer the older one, Bloggers are choosing WordPress as the blogging platform because of its features. Those who are aware of WordPress, knows that it comes in two different ways. One is WordPress.com which is a free hosting blogging platform where you will get domain name as example.wordpress.com and the other way you can go for self hosted – own server installed wordpress where you will have to manage the wordpress starting from installation to customization. Here we will take a look on the features provided under both type of WordPress packages and will compare them to make easier for you to choose in between. First of all we will talk about WordPress.com which is a free blogging platform similar to blogger.com (from Google). If you are planning to start your own new blog and don’t want to invest a penny on hosting account, domain registration etc. then go for WordPress.com platform. Most of the new bloggers start their blog without any issue but to maintain a blog for long run is really difficult. It requires time, determination, patience etc. to keep writing about a topic or niche. WordPress.com is having all the features (premium options) to start a new blog and run it for a long term. As WordPress.com is a free blogging platform, you will be provided with the file storage as 3 GB (approx. 5,000 images of size 600KB) which is sufficient for new bloggers. Once you will achieve the limit, you can go for Premium Options where you can add 5 GB for $19.97/year, 15 GB for $49.97/year, or 25 GB for $89.97/year Or you can choose to transfer your domain or blog to self hosted WordPress. Blog traffic stats like “Referrers”, To Pages, Search Engine Term etc are visible on the Dashboard itself so no need to use Google Analytics or other tool to analyze the traffic on your blog. When you complete writing a post on your blog on WordPress.com, you can add tags to each post. These tags will be shared on the Global platform of WordPress.com where people interested in the same tag can see your blog post and that will attract a traffic to your blog. This is a kind of reader for private blogs where you can add the URL on your dashboard and get their latest posts over there. This option is available on left panel of Dashboard. This is a normal reader for RSS feed subscribed by you. Here you will get latest news from WordPress and other blogs by subscribing their RSS feed. As WordPress is an open source system, you can customize it as per your need. If you are familiar with PHP and MySQL then you can do whatever you want. WordPress team releases updated versions to provide new options and security fixes, which can be downloaded from WordPress.org portal or you can upgrade it automatically from your Dashboard. You can also keep track of the status of unreleased future versions of WordPress. Unlike in WordPress.com, here you can change the PHP code of your chosen theme and customize it as per your need. You can start with a simple theme and customize it to make it a pro theme for your blog. You can add Sidebar Widget or other Widgets as per your choice on your blog. This is the most important feature of WordPress.org blog and personally I fee that this is the feature which made WordPress so popular. Thru Plug-in, you can do lot many things with your blog. You can add Sitemap Generation and Submission feature, Different Bookmarks, SEO Options, Poll, Email, Print, Video Playlist, Slideshow and many more things without any effort. 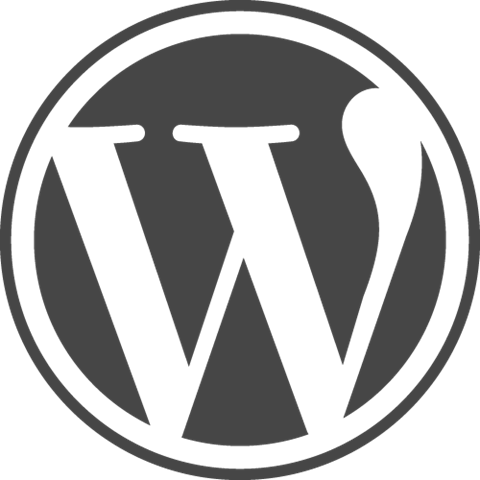 There are nearly 6,000 plug-in available for WordPress which are free to download and use on WordPress blog. SEO is one of the high priority thing for a pro blogger and here in WordPress, you have lot many options to optimize your blog for SEO. As per Matt Cutts, WordPress is 90% fit for SEO. But still need to put some plugin to populate keywords, description etc on each post. All in one SEO, Platinum SEO etc are free plug-ins for achieving these things. Once you will have self hosted WordPress, You will get unlimited control on your blog. You can install the blog on a separate folder rather than root directory to keep root directory for other purposes. Clean Folders of no use, You can install WP Super Cache to load your pages faster on browsers or install as many WordPress blog as you want on a single domain by creating different sub-domains. So I recommend new bloggers to go for a free blogging platform like WordPress.com for initial 30 to 60 days and then transfer that to self hosted platform. By doing so you can realize whether you are serious about this effort or you just change your mind after certain time period. If you do so, you will not loose a single penny on web hosting or domain registration but if you continue writing then you are sure that you will keep that doing for long term and then you can have a unique domain and self hosted platform.